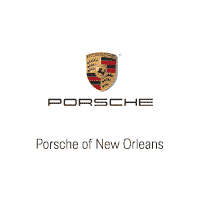 You want to get the best Porsche 718 pricing when you go car shopping in Mandeville, LA, don’t you? Of course, you do. Nobody wants to spend more when they could pay less. However, a lot of people have a hard time negotiating the price they want. They either just don’t know how to do it the right way, or the process intimidates them. But don’t worry. You can negotiate for the price you want – you just have to be confident and know what you’re doing. Read up on these simple and easy tips to help you get the price you want. Before you even go to a dealership in the Mandeville, LA, area, you should already have an idea of how much you want to pay for your next car. This will involve taking some time to analyze your finances. First of all, you have to think about how much you have to spend on the down payment. Remember, the more you put down, the less you will have to take out a loan for (and, therefore, pay interest on). Next, you have to consider how much you can afford to spend every month on the car payment. Try to be conservative when you are figuring out these numbers. Another way to find the best Porsche 718 pricing is to go to a dealership that has a reputation for making its customers happy. Think about it: a dealership that works with people to help them get into the cars they want is going to have better reviews and better ratings. Therefore, check out what you can expect from dealerships in your area by reading about them online. This will give you a basis for where to shop. You also have to remember to be as respectful and kind as possible when you are trying to negotiate Porsche 718 pricing. Remember, the easier you are to work with, the more likely the salesperson at the dealership will help you get into the car you love at the price you want. It’s all about building relationships. Now you know how to negotiate Porsche 718 pricing. Come to Ray Brandt Porsche today to put what you’ve learned into action.